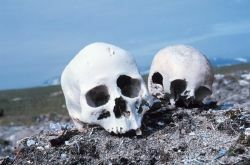 Anthropology (from the Greek word ἄνθρωπος, "human" or "person") consists of the study of humanity (see genus Homo). The discipline is a holistic study, concerned with all humans, at all times, in all humanity's dimensions. 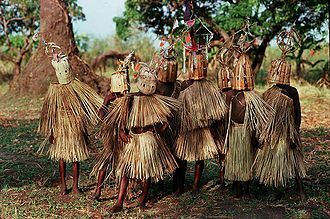 Anthropology is traditionally distinguished from other disciplines by its emphasis on cultural relativity, in-depth examination of context, and cross-cultural comparisons. Anthropology is methodologically diverse, using both qualitative and quantitative methods, such as firsthand case studies of living cultures, careful excavations of material remains, and interpretations of both living and extinct linguistic practices. In North America and other Western cultures, anthropology is traditionally broken down into four main divisions: physical anthropology, archaeology, cultural anthropology (also known as social anthropology), and linguistic anthropology. Each sub-discipline uses different techniques, taking different approaches to study human beings at all points in time. Through bringing together the results of all these endeavors humans can hope to better understand themselves, and learn to live in harmony, fulfilling their potential as individuals and societies, taking care of each other and the earth that is their home. The anthropologist Eric Wolf once described anthropology as "the most scientific of the humanities, and the most humanistic of the sciences." The anthropologist Eric Wolf once described anthropology as "the most scientific of the humanities, and the most humanistic of the sciences." Anthropology can best be understood as an outgrowth of the Age of Enlightenment, a period when Europeans attempted to study human behavior systematically. The traditions of jurisprudence, history, philology, and sociology then evolved into something more closely resembling the modern views of these disciplines and informed the development of the social sciences, of which anthropology was a part. At the same time, the romantic reaction to the Enlightenment produced thinkers, such as Johann Gottfried Herder and later Wilhelm Dilthey, whose work formed the basis for the "culture concept," which is central to the discipline. Institutionally, anthropology emerged from the development of natural history (expounded by authors such as Buffon) that occurred during the European colonization of the seventeenth, eighteenth, nineteenth and twentieth centuries. Programs of ethnographic study have their origins in this era as the study of the "human primitives" overseen by colonial administrations. There was a tendency in late eighteenth-century Enlightenment thought to understand human society as natural phenomena that behaved in accordance with certain principles and that could be observed empirically. 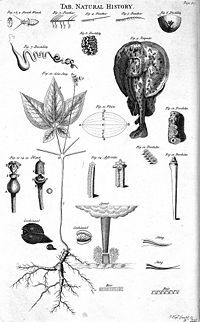 In some ways, studying the language, culture, physiology, and artifacts of European colonies was not unlike studying the flora and fauna of those places. Drawing on the methods of the natural sciences and developing new techniques involving not only structured interviews, but unstructured "participant observation," and drawing on the new theory of evolution through natural selection, the branches of anthropology proposed the scientific study of a new object: humankind, conceived of as a whole. Crucial to this study is the concept of "culture," which anthropologists defined both as a universal capacity and a propensity for social learning, thinking, and acting (which they saw as a product of human evolution and something that distinguishes Homo sapiens—and perhaps all species of genus Homo—from other species), and as a particular adaptation to local conditions, which takes the form of highly variable beliefs and practices. Thus, culture not only transcends the opposition between nature and nurture, but absorbs the peculiarly European distinction among politics, religion, kinship, and the economy as autonomous domains. Anthropology thus transcended the divisions between the natural sciences, social sciences, and humanities to explore the biological, linguistic, material, and symbolic dimensions of humankind in all forms. Anthropology grew increasingly distinct from natural history, and by the end of the nineteenth century, it had begun to crystallize into its modern form. By 1935, for example, it was possible for T. K. Penniman to write a history of the discipline entitled A Hundred Years of Anthropology. Early anthropology was dominated by proponents of unilinealism, who argued that all societies passed through a single evolutionary process, from the most primitive to the most advanced. Non-European societies were thus seen as evolutionary "living fossils," which could be studied in order to understand the European past. Scholars wrote histories of prehistoric migrations that were sometimes valuable, but often also fanciful. It was during this time that Europeans, such as Paul Rivet, first accurately traced Polynesian migrations across the Pacific Ocean—though some of them believed those emigrations had originated in Egypt. Finally, concepts of race were developed with a view to better understand the nature of the biological variation within the human species, and tools such as anthropometry were devised as a means of measuring and categorizing this variation, not just within the genus Homo, but in fossil hominids and primates as well. Unfortunately, racialist concepts were abused by a few and gave rise to theories of scientific racism, which died out by the middle of the twentieth century, around the time that race was disqualified as a legitimate scientific category by anthropologists. Anthropology consists of two major divisions: physical anthropology, which deals with the human physical form from the past to the present, and cultural anthropology, which studies human culture in all its aspects. Additionally, the areas of archaeology, which studies the remains of historical societies, and linguistic anthropology, which studies variation in language across time and space and its relationship to culture, are considered sub-disciplines in North America. Physical anthropology is the field that considers the biology and physiology of humanity, from primate ancestors to modern-day humans. Physical anthropology’s origins actually lie in the geology revolution, when the Earth was revealed to be much older than the previously accepted biblical scale, and fossilized human remains and tools spurred the debate of "man's antiquity." Coupled with Charles Darwin's explosive theory of evolution, physical anthropology became the leading authority on the evidence of human evolution. By the mid-twentieth century, a general geneological tree of human ancestors had been established, based upon fossils discovered by Donald C. Johanson, Paul Abell, and Mary, Louis, and Richard Leakey among others. While fossils found in Africa, Asia, and even South America challenged both the timeline and circumstances surrounding humanity's evolution, the basic paradigm is still accepted: millions of years ago, evolutionary adaptations in small mammals, such as stereoscopic vision, led to the development of the early primate line of descendants. Humans, gorillas, and chimpanzees were the last species to develop their own branches, from which the human line branched off into many different dead-end lines and closely related species, but the most direct line lead from the Australopithecine species, then evolving into the Homo lines. Homo habilis, Homo rudolfensis, Homo erectus, and Homo neanderthalensis were the first direct ancestors, with increased cranial capacity. It should be noted that the exact place of human ancestors in the evolutionary scheme is challenged nearly every year, and that new categories are emerging so that a conclusive paradigm has yet to be produced. Since the primary focus of physical anthropology is with human evolution, primatology is a closely linked sub-field of the discipline. Understanding human’s closest relatives, the primates, helps understand the evolutionary process from ape to man. Primatologists, such as Jane Goodall and Dian Fossey, have pioneered research observing primates in the wild, noting behavior that would have been common to human ancestors. Another emerging sub-discipline is population genetics, which tracks and studies contemporary groups of people and the physical/genetic differences between modern-day people, which similar studies had in the early and mid-twentieth century proved that notions of race were scientifically unsubstantial. One of the major discoveries in the field was how to track lineage through mitochondrial DNA and Y chromosomes, in effect, to tracking the origins of the modern humankind to human’s African genetic ancestors. The primary focus of cultural anthropology, also referred to as social anthropology and ethnology, is the study of human culture. In regards to humanity, culture can deal with a host of subjects, such as religion, mythology, art, music, government systems, social structures and hierarchies, family dynamics, traditions, and customs as well as cuisine, economy, and relationship to the environment. Any and all of these factors make up important aspects of culture and behavior, and are some of the pieces of human history that cultural anthropology tries to put to together into a larger, more comprehensive picture of the human experience. With the rise of history and humanities studies, along with the natural sciences, during the nineteenth century, such scholars as Edward Burnett Tylor and James Frazer began to plant the seeds of cultural anthropology, wondering why people living in different parts of the world sometimes had similar beliefs and practices. This question became the underlying concern of cultural anthropology. Grafton Elliot Smith argued that different groups must somehow have learned from one another, as if cultural traits were being spread from one place to another, or “diffused.” Others argued that different groups had the capability of inventing similar beliefs and practices independently. Some of those who advocated "independent invention," like Lewis Henry Morgan, additionally supposed that similarities meant that different groups had passed through the same stages of cultural evolution. Ethnography, the backbone of cultural anthropology methodology, was developed by Bronislaw Malinowski in his work in the Trobriand Islands of Melanesia between 1915 and 1918. Although nineteenth-century ethnologists saw "diffusion" and "independent invention" as mutually exclusive and competing theories, most ethnographers quickly reached a consensus that both processes occur, and that both can plausibly account for cross-cultural similarities. In the 1950s and mid-1960s, anthropology tended increasingly to model itself after the natural sciences. Some anthropologists, such as Lloyd Fallers and Clifford Geertz, focused on processes of modernization by which newly independent states could develop. Others, such as Julian Steward and Leslie White, focused on how societies evolve and fit their ecological niche—an approach popularized by Marvin Harris. Economic anthropology through the influence of Karl Polanyi focused on how traditional economics ignored cultural and social factors. In England, British social anthropology's paradigm began to fragment as Max Gluckman and Peter Worsley experimented with Marxism and others incorporated Lévi-Strauss's structuralism into their work. Structuralism also influenced a number of developments in the 1960s and 1970s, including cognitive anthropology and componential analysis. Authors such as David Schneider, Clifford Geertz, and Marshall Sahlins developed a more fleshed-out concept of culture as a web of meaning or signification, which proved very popular within and beyond the discipline. In keeping with the times, much of anthropology became politicized through the Algerian War of Independence and opposition to the Vietnam War. By the 1970s, the authors of volumes such as Reinventing Anthropology worried about anthropology's relevance. In the 1980s issues of power, such as those examined in Eric Wolf's Europe and the People without History, were central to the discipline. Books like Anthropology and the Colonial Encounter pondered anthropology's ties to colonial inequality, while the immense popularity of theorists such as Michel Foucault moved issues of power and hegemony into the spotlight. Gender and human sexuality became popular topics, as did the relationship between history and anthropology, and the relationship between social structure and individual agency. In the late 1980s and 1990s, authors such as George Marcus and James Clifford pondered ethnographic authority, particularly how and why anthropological knowledge was possible and authoritative. Ethnographies became more reflexive, explicitly addressing the author's methodology and cultural positioning, and their influence on his or her ethnographic analysis. This was part of a more general trend of postmodernism that was popular contemporaneously. Currently, anthropologists have begun to pay attention to globalization, medicine and biotechnology, indigenous rights, and the anthropology of industrialized societies. Archaeology studies human cultures through the recovery, documentation, and analysis of material remains and environmental data, including architecture, artifacts, biofacts, human remains, and landscapes. 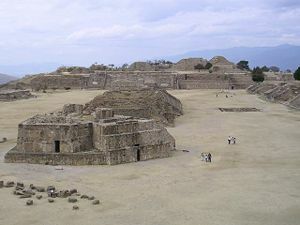 While there are numerous goals pertaining to its various sub-disciplines, the main goal of archaeology is to create the most thorough understanding of how and why both historical and prehistoric people lived, to understand the evolution of human society and civilizations, and to use knowledge of human ancestors’ history to discover insights into modern-day societies. Through such efforts, it is hoped that archaeology will support increased understanding among the various peoples of the world, and thus aid in the growth of peace and harmony among all humankind. In the 1980s, a new movement arose, led by the British archaeologists Michael Shanks, Christopher Tilley, Daniel Miller, and Ian Hodder, questioning processualism's appeals to science and impartiality, and emphasizing the importance of relativism, becoming known as post-processual archaeology. Further adaptation and innovation in archaeology has continued. Linguistic anthropology is rooted largely in general linguistic studies which deals with the components of language, mainly phonetics, morphology, and even the kinesics of language. Linguistic anthropology grew out of cultural anthropology, when anthropologists realized what information the study of language can bring. The first main branch of the discipline is historical linguistics, which studies the evolution of language. All languages have a genealogical tree structure that shows their evolution. For instance, modern English comes from a combination of French, Latin, and Germanic sources, which can all traces their roots back to a common origin, the Indo-European language from the steppes of Russia. The ability of anthropological linguists to trace a language's origins based on the morphological and phonetic changes also can be used to track human migration patterns. Lexicostatistical dating is the technique used for migration tracing, and one of the most famous examples is the pattern of Native American settlement thousands of years ago on such a linguistic approach. The second major linguistic study in anthropology is called ethnolinguistics. There are two historically different approaches in the discipline, the first being the "Sapir-Whorf hypothesis," proposed in the mid-twentieth century by Edward Sapir and Benjamin Whorf. They argued that "Each language provides particular grooves of linguistic expression that predispose speakers of that language to perceive the world in a certain way. ... The picture of the universe shifts from tongue to tongue." The other approach generally accepts that culture and language predispose people to particular perspectives, but regards language as a continually evolving phenomena that is constantly consuming different influences and changing the society's perspective. Both perspectives agree that language, as one of humankind's most distinguishing features, is a valuable source of information about culture and psychology, capable of revealing the abstract and cognitive aspects of our minds. Anthropology, as the study of humankind in all its dimensions, has necessarily been involved in social issues. In 1855, Anténor Firmin wrote De l'égalité des races humaines (The Equality of Human Races) as a direct rebuttal to Count de Gobineau’s polemical four-volume work Essai sur l'inegalite des Races Humaines (1853–1855), which asserted the superiority of the Aryan race and the inferiority of blacks and other people of color. Firmin’s work argued the opposite, that "all men are endowed with the same qualities and the same faults, without distinction of color or anatomical form. The races are equal." Firmin grew up in Haiti, and was admitted to the Societé d’ Anthropologie de Paris in 1884, while serving as a diplomat. His persuasive critique and rigorous analysis of many of that society’s leading scholars made him an early pioneer in the so-called vindicationist struggle in anthropology. Many scholars also associate his work with the very first ideas of Pan-Africanism. American cultural anthropology developed during the first four decades of the twentieth century under the powerful influence of Franz Boas and his students, and their struggle against racial determinism and the ethnocentrism of nineteenth-century cultural evolutionism. With the additional impact of the Great Depression and World War II, American anthropology developed a pronounced liberal-left tone by the 1950s. The "politics of anthropology" has become a pervasive concern since that time. Whatever the realities, the notion of anthropology as somehow complicit in morally unacceptable projects has become a significant topic for debate. Explicitly political concerns have to do with anthropologists’ entanglements with government intelligence agencies, on the one hand, and anti-war politics on the other. Franz Boas publicly objected to U.S. participation in World War I, and after the war he published a brief exposé and condemnation of the participation of several American archaeologists in espionage in Mexico under their cover as scientists. But by the 1940s, many of Boas' anthropologist contemporaries were active in the allied war effort against the "Axis" (Nazi Germany, Fascist Italy, and Imperial Japan). Many served in the armed forces, but others worked in intelligence (for example, the Office of Strategic Services (OSS) and the Office of War Information). David H. Price's work on American anthropology during the Cold War provides detailed accounts of the pursuit and dismissal of several anthropologists for their vocal left-wing sympathies. Many anthropologists (students and teachers) were active in the antiwar movement during the Vietnam War years, and a great many resolutions condemning the war in all its aspects were passed overwhelmingly at the annual meetings of the American Anthropological Association. In the decades since the Vietnam war, the tone of cultural and social anthropology, at least, has been increasingly politicized, reflecting Marxist, feminist, post-colonial, postmodern, and Foucaultian perspectives. ↑ See, for instance, the writing of Auguste Comte. ↑ Bernard G. Campbell, James D. Loy, and Kathryn Cruz-Uribe, Humankind Emerging (Boston, MA: Allyn & Bacon, 2005, ISBN 978-0205423804). ↑ William A. Haviland, Harald E. L. Prins, Dana Walrath, and Bunny McBride, Anthropology: The Human Challenge (Florence, KY: Wadsworth Publishing, 2010, ISBN 978-0495810841), 10. ↑ Paul Bahn and Colin Renfrew, Archaeology: Theories, Methods and Practice (New York, NY: Thames and Hudson, 2008, ISBN 978-0500287132), 25–34. ↑ Haviland et. al., 381. ↑ Anténor Firmin, The Equality of Human Races (University of Illinois Press, 2002, ISBN 978-0252071027). Lewis, Herbert S. "The Misrepresentation of Anthropology and its Consequences." American Anthropologist 100 (1998). Lewis, Herbert S. "Imagining Anthropology's History." Reviews in Anthropology 33 (2004). All links retrieved February 20, 2019. The American Anthropological Association Homepage - The webpage of the largest professional organization of anthropologists in the world. Anthropology.net - A community-orientated anthropology web portal with user run blogs, forums, tags, and a wiki. Division of Anthropology, American Museum of Natural History – Over 160,000 objects from Pacific, North American, African, and Asian ethnographic collections with images and detailed descriptions, linked to the original catalogue pages, field notebooks, and photographs available online. The Royal Anthropological Institute – The Royal Anthropological Institute of Great Britain and Ireland (RAI) is the world's longest-established scholarly association dedicated to the furtherance of anthropology. They also have a large ethnographic film and video collection. This page was last modified on 20 February 2019, at 16:03.